Six Sigma Quality can make a huge difference to a company's bottom line. Some organizations are making it a way of work. Unless you are an adherent, proponent or even zealot (yes, there are these) about the subject, "Six Sigma Quality" is something that you might otherwise skip. Which is probably something the aforementioned partisans don't mind, as it leaves the competitive arena more open to their improvement-focused maneuvers. Asked whether he finds it to be a competitive advantage, Scott Stanley, vp-Operations, AlliedSignal Friction Materials (Troy, MI), who not only has responsibility for the operation's 13 plants in nine countries, but also holds the charters for quality, purchasing and Six Sigma, answers, simply, "You bet." But he goes on to amplify by stating that just having Six Sigma training performed doesn't make things happen, that it is up to the people within the organization to take action on an on-going basis. On the subject of training (Stanley was trained by a Motorola trainer, and Motorola, which started its Six Sigma journey in 1987, is generally considered to be a foundation of the practice), he observes that it is largely about providing people with the tools that they need to do a job. He points out, "Sometimes, people who are not trained in Six Sigma see the problem and understand what they need to do, but they don't have the right tools to resolve the problem." But it is not just about passing out the tools: "If you stop there, you don't get the results. If you train people and don't apply the training, you'll never get improvement you're looking for." Application is everything. So as he puts it, Six Sigma is a competitive advantage "if we choose to deploy it. It allows us to create change, focus on issues, find a way to become more cost competitive, find a way to deliver a better product to our customer, streamline our supply chain, and take out scrap in our plants—you can go and touch anything with it." If they choose to deploy it. And there is another important point that he makes germane to making things happen, which is the fact that so far as he is concerned, Six Sigma will not get anywhere unless it has thoroughgoing support from the top of the organization. "To be successful, has to have top management support. If not, it won't work. I've seen companies try to grow it from bottom up." It didn't work. Six Sigma, he explains, is "too structured, too disciplined, and requires too much commitment and focus to have it percolate up." What's more—and what is at the heart of it—is that Six Sigma, as it is being realized throughout AlliedSignal, as well as within organizations including General Electric, is not merely a means by which quality is improved. It is about changing business processes and how you run your business. That, of course, is the concern of top management. If it is going to happen, then management is going to make it happen. Period. How important is Six Sigma Quality? Well, let's put it this way. Of all of the CEOs out there, GE's Jack Welch is probably the one whose actions speak as loudly as his words. And when it comes to what he has to say, people listen intently. In the 1998 GE annual report Welch lays out three initiatives that, he tells the company's shareholders, are "fueling powerful growth in your Company and transforming its culture and its soul." These are Globalization. Services. And Six Sigma. How important is Six Sigma at GE? Well, according to the annual report, the program started in 1995, at which time the operating margins "were in the 13.6% range" and the working capital turns were at 5.8. "At the end of 1998, margins hit 16.7% and turns hit 9.2." In addition to which, from the standpoint of the ratio of plant and equipment expenditures to depreciation, they've found that through Six Sigma efforts "'hidden factory' after `hidden factory'" is being uncovered, thereby driving that number way down. GE is getting returns on the order of billions of dollars from its Six Sigma initiatives. Today and into the future its products are DFSS: Designed for Six Sigma. 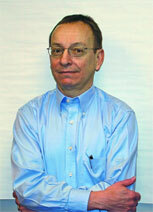 The individual leading Six Sigma throughout AlliedSignal is corporation chairman and CEO Lawrence A. Bossidy. Bossidy joined the company—which, in addition to automotive products, produces aerospace products, specialty chemicals, performance fibers, plastics, and advanced materials—in 1991. Prior to that—since 1957, in fact—he'd been with General Electric. His last position with that firm was vice chairman and executive officer. In other words, he worked closely with Jack Welch. In June, 1999, AlliedSignal and Honeywell Inc. (Minneapolis, MN) announced that they are merging to form a $25-billion company that will be known as Honeywell. The new company—which will be initially chaired by Bossidy (he'll retire April 1, 2000)—cites as one of its competitive advantages as its "Six Sigma process discipline." AlliedSignal's program, which has been formalized since 1995, is known as "Six Sigma." Honeywell's program is known as "Honeywell Quality Value." They will be morphed into "Six Sigma Plus." What the program is called is really not as relevant as what it does. According to AlliedSignal's Stanley (who spent 11 years at GE), "One of the big benefits of Six Sigma is that we can all talk a common language and build a common protocol about going out and attacking issues, whether it's relaying out a manufacturing process, launching a new product, reducing scrap in production line, or solving problems." At Friction Materials—which has annual sales of approximately $1-billion, and which produces disc brake pads, drum brake linings, and other brake-related products for OEM and aftermarket customers—because there are employees in places ranging from Brazil to Thailand, commonality is key. Getting people to speak that language is a matter of training. At AlliedSignal (as well as at other firms, including Motorola and GE), people are actively trained so that they obtain levels of mastery, or "belts." Stanley explains that in the case of AlliedSignal, there are "green belts," who have been trained in basic tools, including process mapping, quality function deployment (QFD), and failure mode and effects analysis (FEMA). The goal is to have all salaried personnel certified as green belts by the end of 2000. Next up there is the "black belt." This individual has spent six to nine months in training (although it should be noted that this training is concurrent with performing one's regular assignments) and has mastery of what Stanley calls "advanced tools." Of these tools, he says that design of experiments (DOE) is the most critical. Finally, one can achieve the level of "master black belt." This person not only knows all of the tools, but can train others in the tools. This is far from being a rubber-stamped position. In the Friction Materials operations in the U.S., which includes headquarters, engineering, and four manufacturing plants, there is only one master black belt. A person must really work at achieving mastery. At all times there are Six Sigma projects underway throughout Allied Signal. The one thing that all of them have in common is that there is at least one person with a belt on the team. Historically, initiatives of various sorts have tended to be inward-focused, something trying to improve operations—and those operations are more than likely factory operations. But Stanley says that as he's observed and participated in Six Sigma over the past few years, he has seen it changing so that there is a tie in not only to other departments within an organization (engineering, marketing, finance), but also a focus on the customer. The customer interface is one thing that he says they are putting increased emphasis on at AlliedSignal. "You can be very good internally"—low scrap, high productivity—"but if you're not passing through to the customers' needs, then it might not matter." Three of the measures taken at Friction Materials are the internal performance, the customer interface and the supplier interface. About the latter, Stanley says that although they don't insist that the suppliers have a Six Sigma program, they must provide Friction Materials with a measure of their fundamental capabilities. "We're looking at their Cpk, at their process variation." He says they're trying to get everyone to a 1.3 Cpk level, and once that's accomplished, they'll ratchet it up higher. Purchasing at Friction Materials, he explains, is "going beyond" getting a good deal on price and having someone show that they can meet the specs. They want to know that the suppliers have the capability to do the job day in, day out. So what if you're considering Six Sigma, thinking about instituting your own program? What does Stanley suggest you do? "I think they ought to start talking with practitioners. GE, us. People in industry that are doing it well. Not those with a theoretical point of view, but people doing it. Find out have they tried, what didn't work well." Six Sigma is about action, not just about bell-shaped curves. *This calculation comes from General Electric Corporate Research & Development. It is based on playing 100 rounds of golf per year at a Six Sigma Quality level.